With over 74,000 pages in the federal tax code, and new changes and additions every year, it’s easy to become overwhelmed or worse yet, miss your rightful deductions or refund without the right expertise at your side. 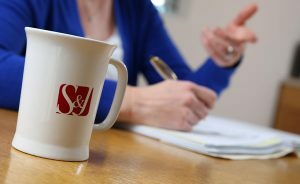 At S&J, we’ve made it our singular mission to be that expert you can rely on to maximize your overall tax picture — and make the entire process much less complicated. Relax and leave the challenge to us.